There are many varieties of apple in the UK. An estimate as to the exact figure would be almost 3,000! Some are very good varieties, others less so. But they are all different. Knowing what to plant where, and ensuring that you will be able to enjoy the beauty of blossom and the satisfaction of being able to pick some good fruits at harvest time, are not always straightforward. Apart from the differences in climatic conditions in the various counties of the UK, there are many other factors which have a great influence on the health and well-being of the trees in order to do well . 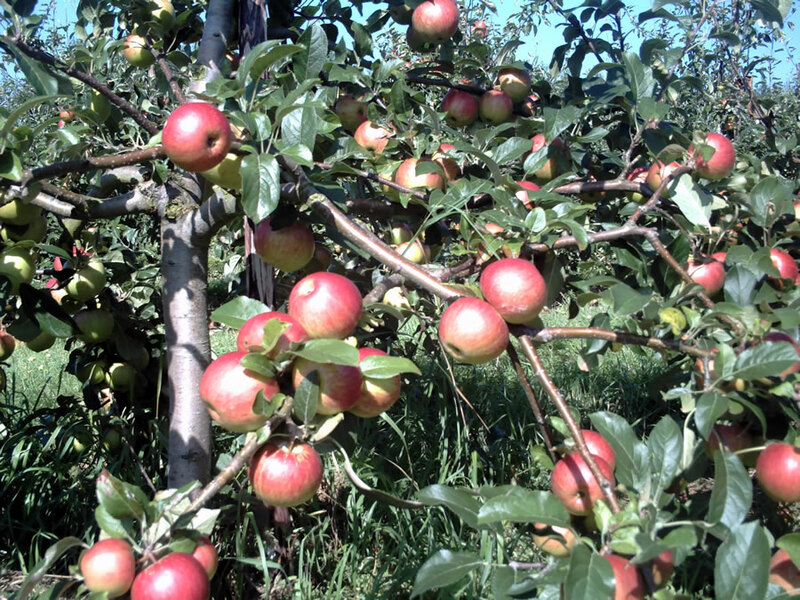 Fruit trees can be long-lived, and to a large degree they are capable of looking after themselves, provided the site is suitable and the planting has been done with care. It is my intention, over the coming months, to review the most interesting varieties, those that have some specific qualities. Many of these varieties are usually not to be found in retail outlets such as supermarkets. These trees are therefore quite scarce, and they are not grown in large volumes. Trees transplant best when fully dormant, during the December to March period. It is best to order the trees early, around September time, as supplies of these specific varieties is limited. Just send us an email and we will be able to let you know our stock position of these varieties.